HEEEEERE WE GO AGAIN!! 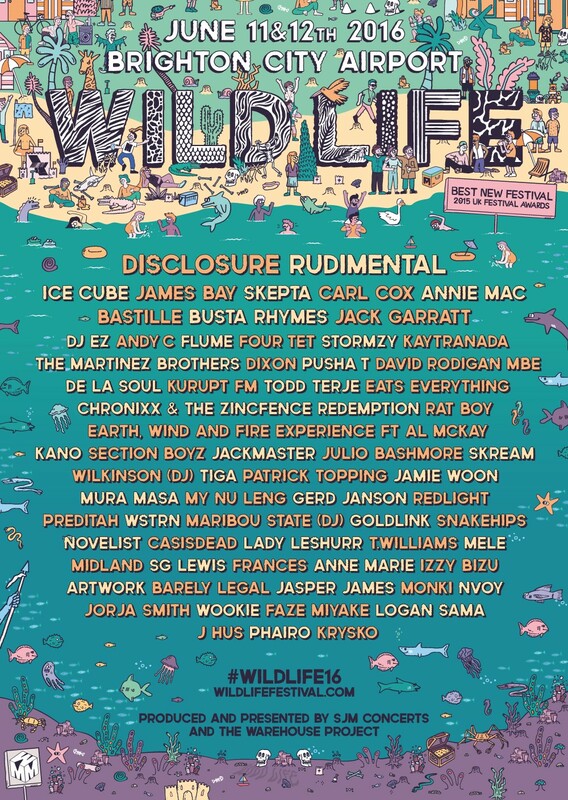 WILD LIFE FESTIVAL is back for 2016 and with a line up to knock your winter socks off and your summer dancing shoes on. We are massively excited to finally announce that, joining us for Wild Life 2016 are…. Rudimental, Earth Wind & Fire Experience ft Al McKay, Ice Cube, James Bay, Skepta, Carl Cox, Busta Rhymes, SG Lewis, Frances, and loadssssss more amazing acts. To see the line up in its full and glorious entirity head to the Wild Life website. So, if you want to come, a limited number of pre-sale tickets are available today, Wednesday February 10th at 9am GMT HERE. If you miss out on those check back at the same time on Thursday for general sale. is a massive music fan and has been writing professionally about it since 2009. Graduating from University in Digital Arts & Design for Interactive Media, Denny has years of experience working online in various areas. Music is his passion and his work.